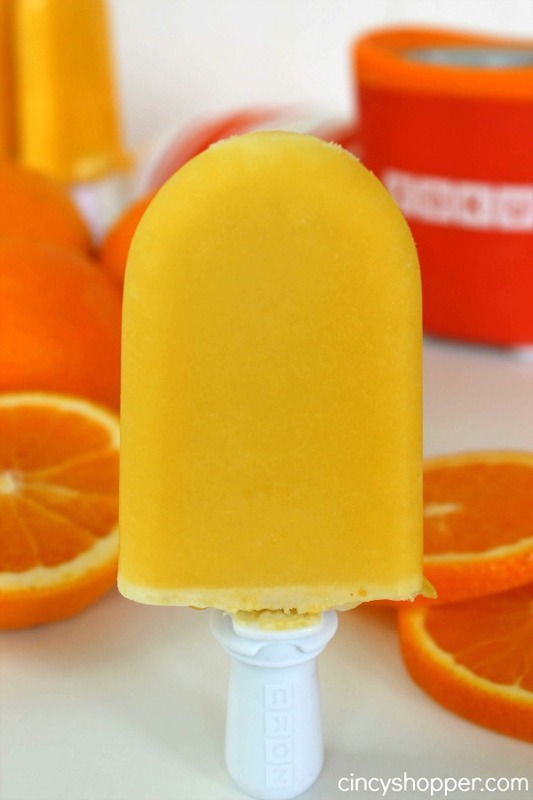 This Homemade Creamsicle Recipe is a perfect summer treat. Cooling down in the summer with a Popsicle is a must for everyone in our household (including the hubby). This past weekend I finally broke down and purchased a new Zoku Quick Pop Maker and accessories. I felt the need to spoil myself ha ha! To soften the blow with the hubby and our budget I decided I would make his favorite frozen treat.. Homemade Creamsicles. I have made my Homemade Creamscicle recipes in other pop molds in the past and he always loves them. Making pops at home is so simple and they always taste so much fresher than store bought pops. I was super excited to make a test run with my new gadgets. I purchased 2 of the Zoku Single Quick Pop Maker as well as the Zoku Storage Case and also the Zoku Chocolate Station. I feel like a princess with all my new pop makers and accessories. You can find the single Quick Pop Maker at TJMaxx too for $19,99 each. But they do no not carry the additional accessories. After making my first round of pops I will say I am highly impressed with the maker and the storage case. It’s nice to make some pops and just toss them in the storage case for everyone to enjoy their pops when they are ready for them. The pops came out perfect and SUPER tasty! I really liked that I could add the cream to the center of our ops just like store bought pops. 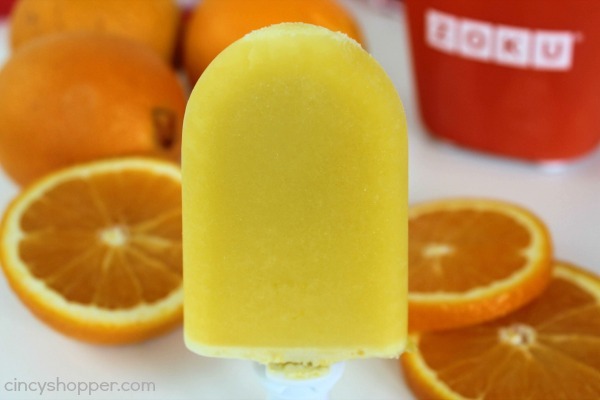 If you are considering purchasing a Zoku Single Quick Pop Maker I say GO FOR IT! I wish I would have purchased mine sooner. 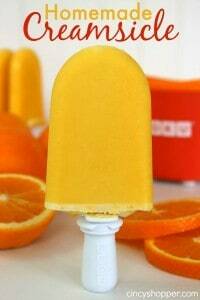 Orange Creamsicles were the perfect recipe to make first time using my pop maker. They were so simple to whip and SUPER tasty. This recipe works with a traditional pop maker too, you will just need to allow your first layer to freeze before adding in the cream. 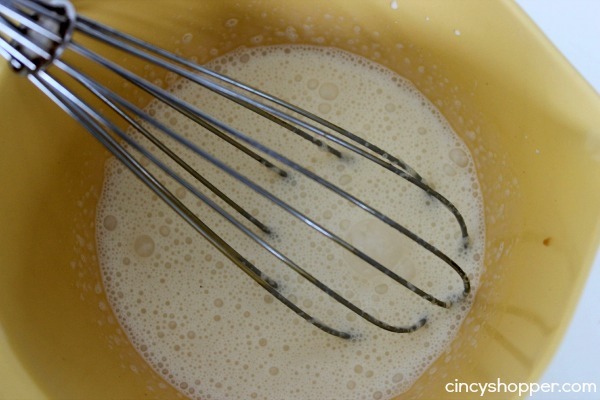 The ingredients need for this Homemade Creamsicle Recipe are so simple… Orange Juice, Heavy Cream, Sugar and Vanilla. YUM! Mix together cream, sugar and vanilla. Pour Orange juice in maker up to fill line. 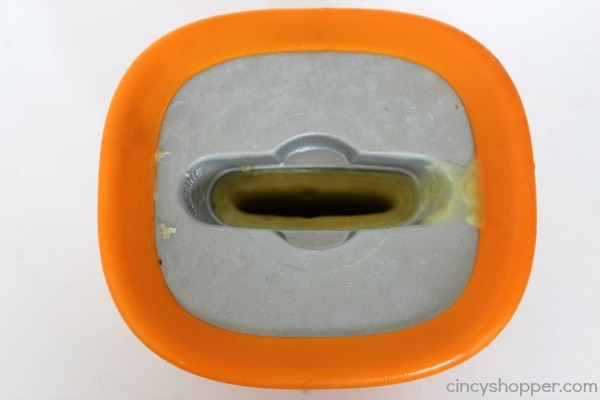 Use suction tool to remove unfrozen juice from center of maker or carefully pour off unfrozen juice. Fill this now empty space with cream mixture. Wait 5 minutes or until cream in set (frozen). 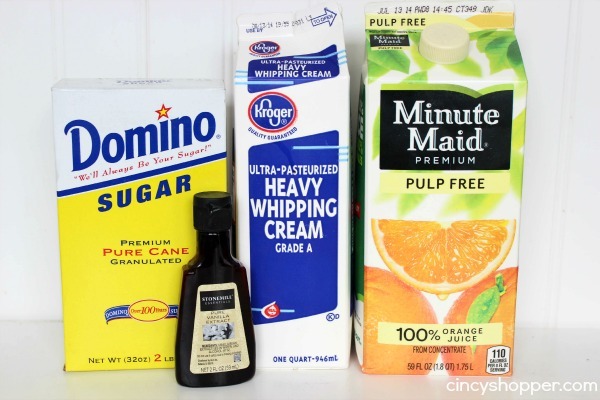 Mix together cream, sugar, vanilla and orange juice. I really liked how quickly the Zoku Quick Pop Maker froze my first layer… no waiting and waiting for the first layer to freeze. A Perfect and Quick Pop every time! 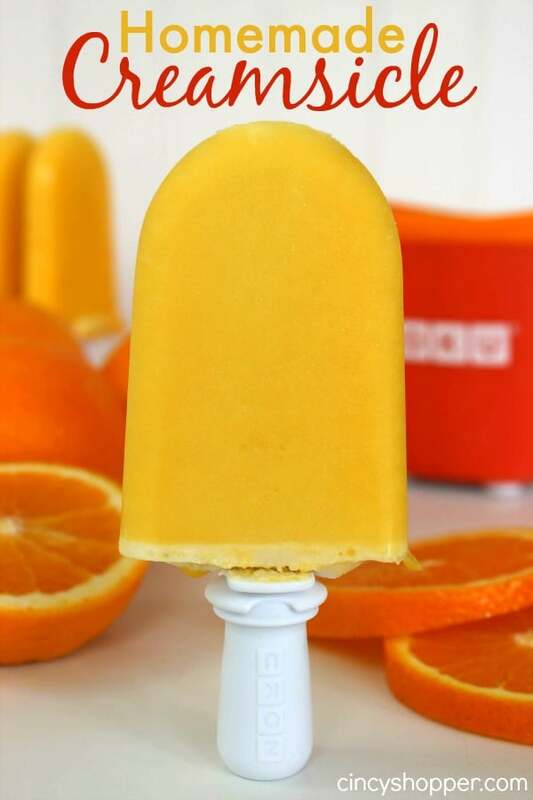 I know the Zoku Single Quick Pop Maker is going to be great for making all sort of refreshing treats. No more purchasing of fancy pops from the stores. 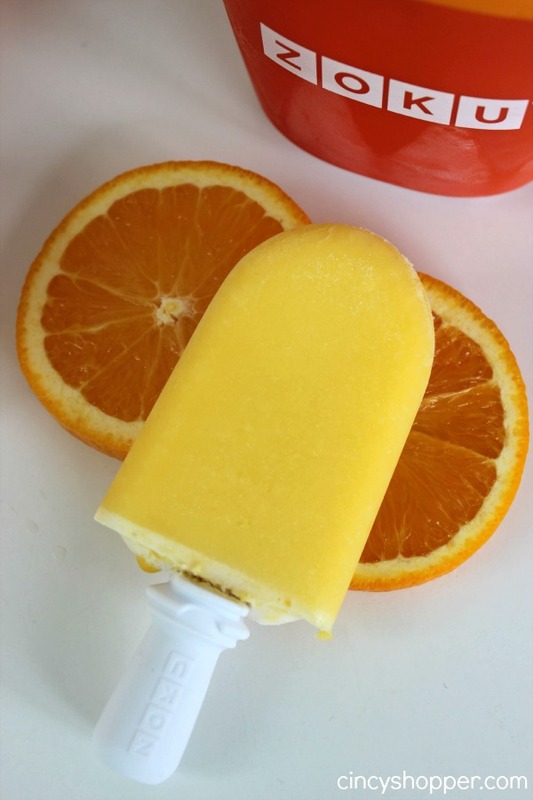 Delicious orange creamsicle, thanks for sharing with Hearth and Soul blog hop. I am pinning and sharing in facebook.